Arsenal legend Thierry Henry is impressed with Alex Iwobi’s attitude which has gotten him into the club’s senior side. Iwobi was promoted to Arsenal’s first team in 2015 and has held down a regular place this season. Henry praised the 20-year-old for his achievement of breaking into the Arsenal’s first team from the club’s academy. 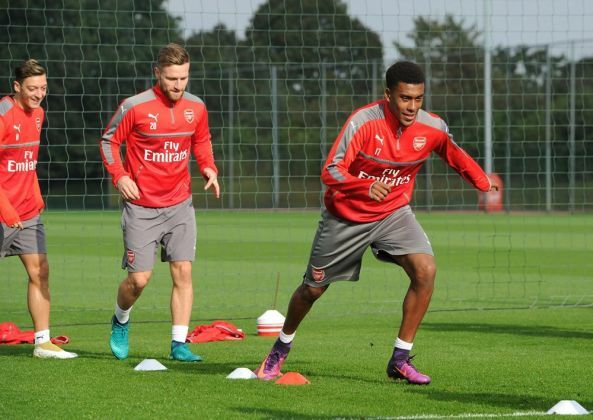 “To make it into the Arsenal team from the youth team is very difficult. They’ve done a tremendous job with him in the academy for him to arrive there,” Henry said on Sky Sports. “I myself was there [the academy] for a little while and he listens, works hard, he’s never late. When you tell him to do something, he does it straight.